#4 Journal Ranking in “Learning Research” (H-Index). 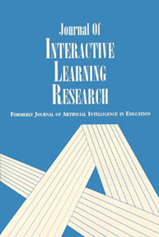 JILR is the official journal of the the Association for the Advancement of Computing in Education (AACE). Members have free, online access to all back issues via LearnTechLib–The Learning & Technology Library.